Sweden's brightest metal hopefuls Burst plow headlong into eternity with their sophomore effort Origo. With flowing grace and force of conviction, Origo's lush layers of sound crush and caress in equal measure. Fragile melodic vocals intertwine with explosive screams, and waves of guitar weave songs as expressive and elaborate as human emotion itself. When the Wave Broke and Immateria exude class and the confidence of a band poised for greatness. 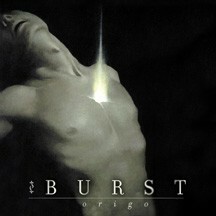 Origo is Burst's masterwork of complex, commanding music. Used CD In Excellent Condition.